LOOK for vertical bark splits/cracks on lower trunks of Live oaks.. also look at Red Oaks. On Crape Myrtles, the bark may have vertical splits but also could have popped bark in large sections. Damaged bark may not be visible so you have to touch and push on the bark with fingers to see if it moves..compresses. 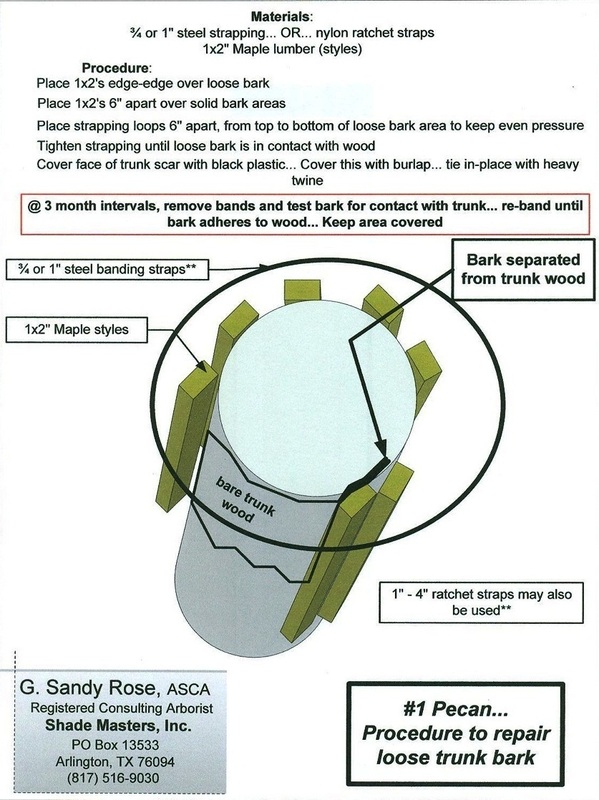 ASAP.. cover & TIGHTLY WRAP damaged trunks with black plastic & burlap... to exclude light...& retain some moisture... may even have to use several ratchet straps AFTER placing 1x2" vertically around trunks.. or any method to draw bark tightly to the trunks. I do not recall if I had success with crapes that had extensive ring shakes, but VERY GOOD success with LO & RO. LO had most ring shake damage and tree losses over the following 1-4 years following the 1983-84 freeze. Most bark-damaged crapes died to the ground. A temps and clearing is forecasted for next several days, damage could still be taking place. We may have escaped rig shake damage as we did not have the sudden drop from high temps, as we did in 1983-84... remains to be seen , however, what will happen due to deeper and sustained low temps... then up to the 50's by weekend.